Q. I’ve just started out on bikes and have a 10-year-old Suzuki Bandit 600 which is great fun. But having come from cars with all that noise deadening bodywork and in-car entertainment to muffle the sound of the engine, I’m worried that my bike’s engine may have a problem, judging by the amount of mechanical noise it makes. I’m sure most of it is just normal, but how do I tell the difference between the good and the bad? A. Bike engines will make a variety of noises, hardly surprising with several hundred metal parts whizzing round thousands of time a minute. If you are worried about the mechanical noises coming from your bike, then it’s well worth investing in a workshop stethoscope. They aren’t the doctor–type with flexible tubes, but use a stick to let you delve into the middle of the engine. They only cost about £20. An engine will often sound noisy on start-up because components aren’t under load, the engine is cold and the oil hasn’t warmed up and started circulating freely. But then it should settle down to a regular beat. If a noise persists, or increases in volume, then that could indicate excessive wear. Rumbling sounds are normally bearings in the bottom of the engine, perhaps the crankshaft. 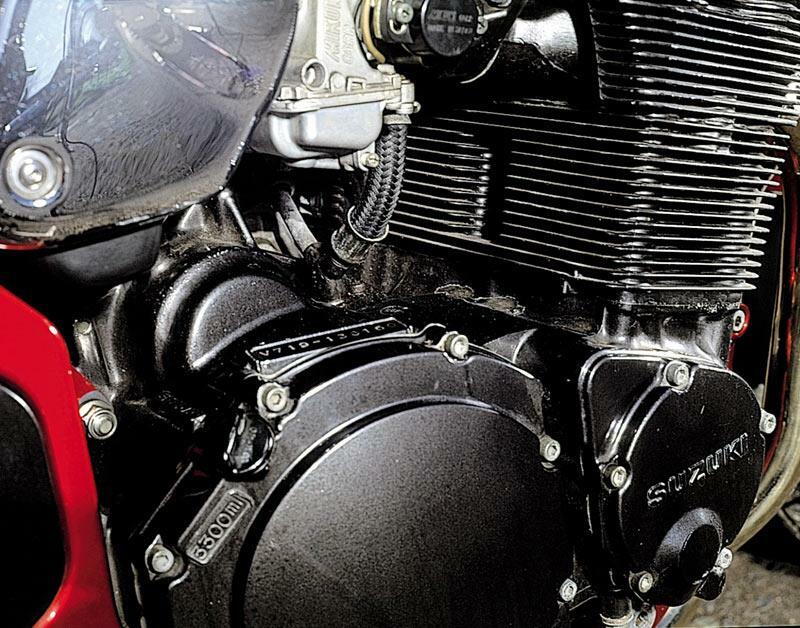 A “squawking” sound is probably the clutch wearing, while a metallic rattle that follows you shutting the throttle on a four-stroke means the camchain tensioner is worn. A ticking sound from the top of the motor indicates that the tappets are worn or maybe the shims, depending on their design. An erratic idle or a sense that the engine is ‘hunting’ could indicate a duff plug or the carbs or injectors are out of sync. If there’s a whining noise coming from the bottom end of the engine that means a gearbox bearing is knackered. Finally, if your bike backfires or makes a ‘spitting’ sound, then there’s an air leak around the exhaust headers or further down the exhaust system.